In a previous post, we talked about trig simplification. Trig identities are very similar to this concept. An identity is the equality of two expressions. When given a trig identity, you have to prove that both sides of the equation are equivalent. 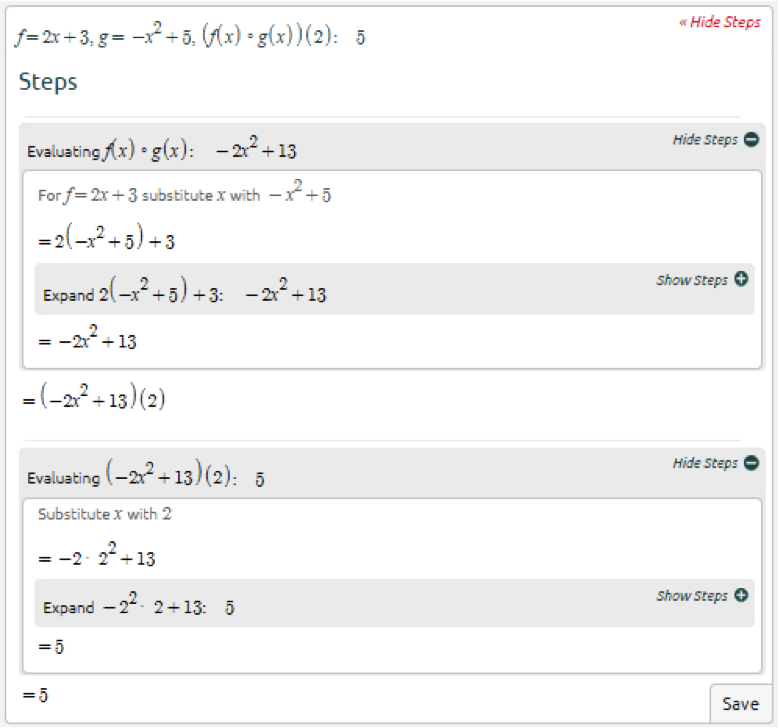 This requires using some skills from trig simplification and learning some new skills. One big difference between trig identities and trig simplification is that you are able to work both sides of the equation to show both sides are equivalent. 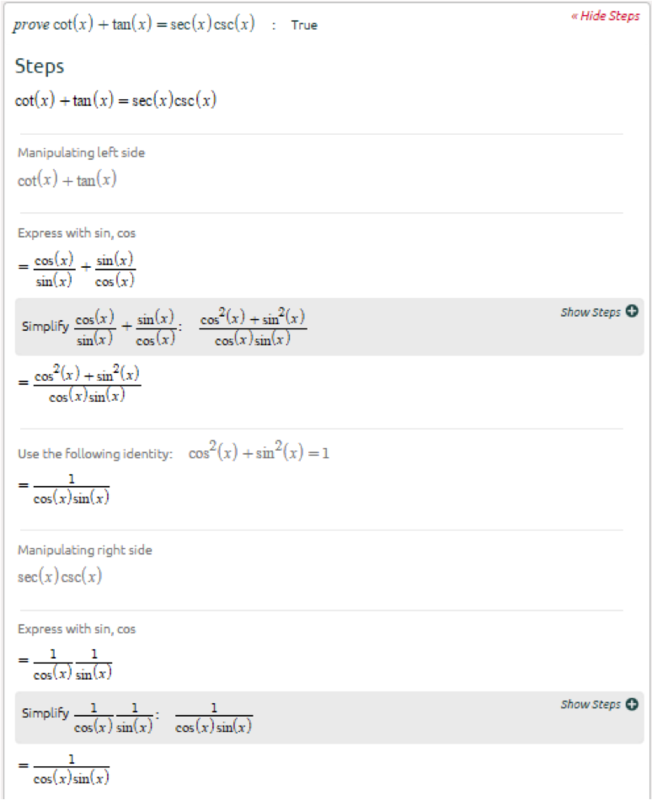 Just like trig simplification, there is no exact recipe on how to prove trig identities. 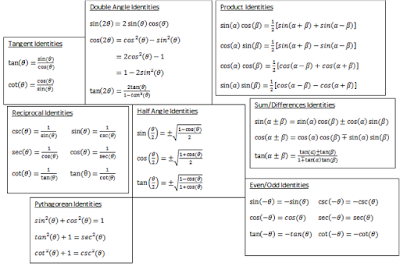 Memorizing trig identities will make proving trig identities 100 times easier. 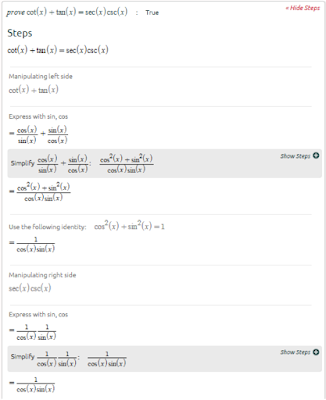 I’ll go over some tips to help make proving trig identities a little easier, and then we will go through an example step by step, so you can understand the thought process when proving trig identities. 1. We will start on the more complicated side (right side) and convert everything to sine and cosine. 2. It looks a little messy, so let’s simplify it. 3. 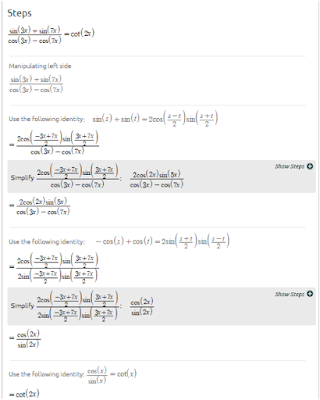 I’m stumped as to what to do next, so we’ll start working on the left side and convert everything to sine and cosine. 4. This looks familiar. Let’s use the double angle identities. 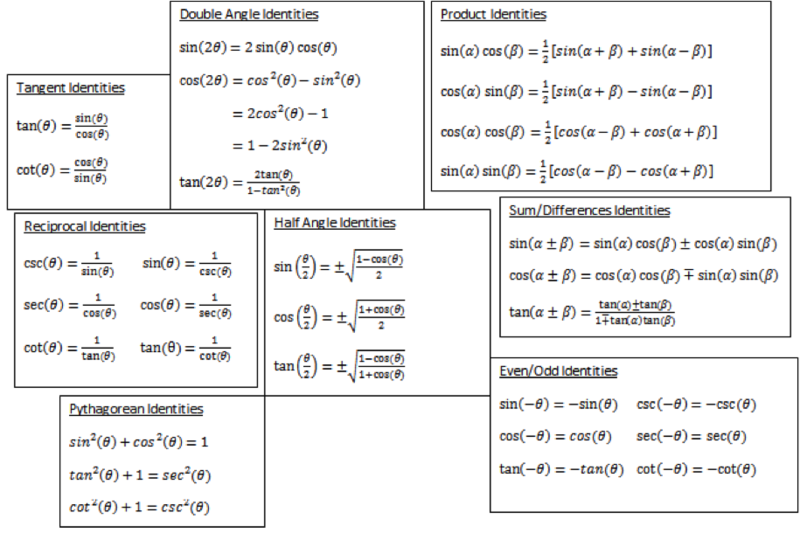 We know what identity to use for cos(2x) based on what the right side of the equation looks like. 5. The left side now matches the right side. We’re done! Proving trig identities take a lot of practice. Let’s look at two more examples. Proving trig identities can be very tricky. It is important to not give up, if you are stumped. Take a break and come back to the problem. Have a page of the identities out in front of you, so you can see your options. The only way to get better is to practice proving trig identities. 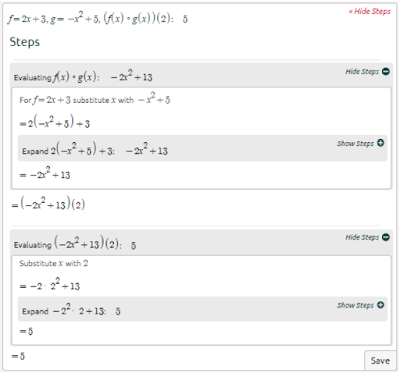 Check out Symbolab’s trigonometry practice for more help on the topic. Function composition is when you apply one function to the results of another function. When referring to applying g(x) to f(x), the function composition is denoted as (f\:\circ\:g)(x),\:or\:f(g(x)). How does function composition work? 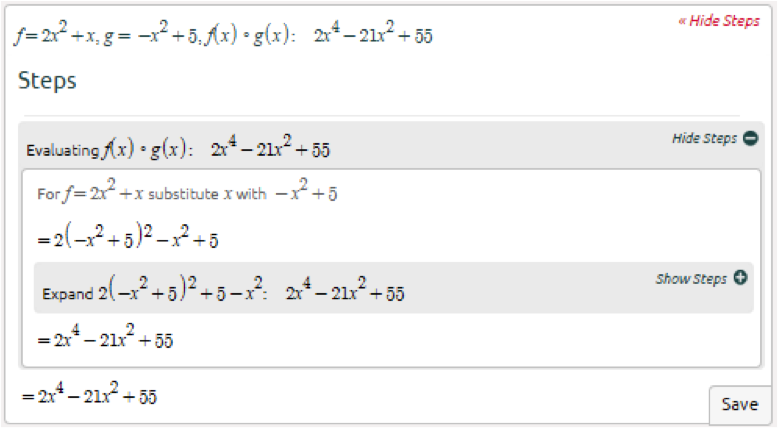 x is only used as a place holder in the function. We can substitute in other values for x. When given the function composition (f\:\circ\:g)(x), we take whatever g(x) is equal to and input it in for x in f(x). This will give us the function composition. It is important to know that (f\:\circ\:g)(x)\ne(g\:\circ\:f)(x). Make sure that the domain of the inner, first function is respected in the function composition. Let’s go through an example step by step to help you better understand how to solve function compositions. 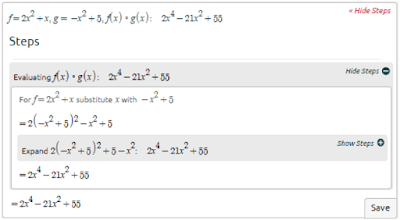 Given f(x)=2x+3 and g(x)=-x^2+5,find g(f(x+3)). Function composition is very simple. My only piece of advice is to double check your work! It is so easy to have a simple calculation error that will cost you a point or two. Try your best to avoid this and double check your work. Practice a few tricky problems and you’ll be all set to move on from this topic.